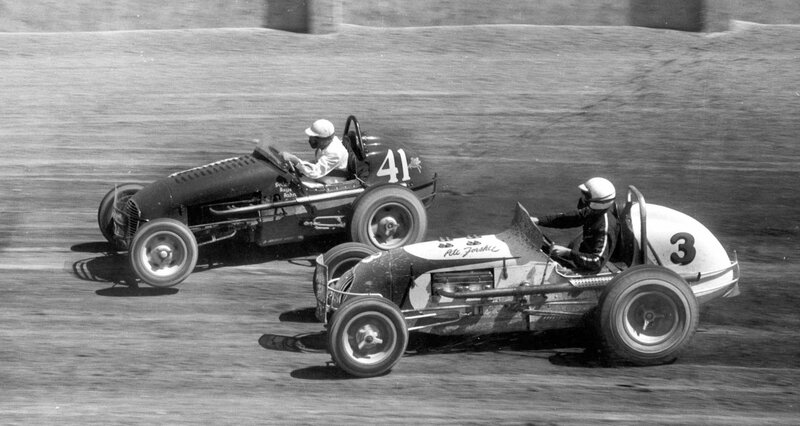 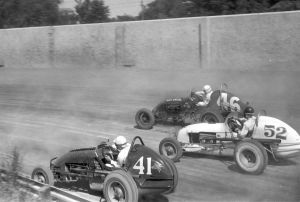 #41 Jack Hahn, #46 Bart Manley, #52 Bill Billingsly. 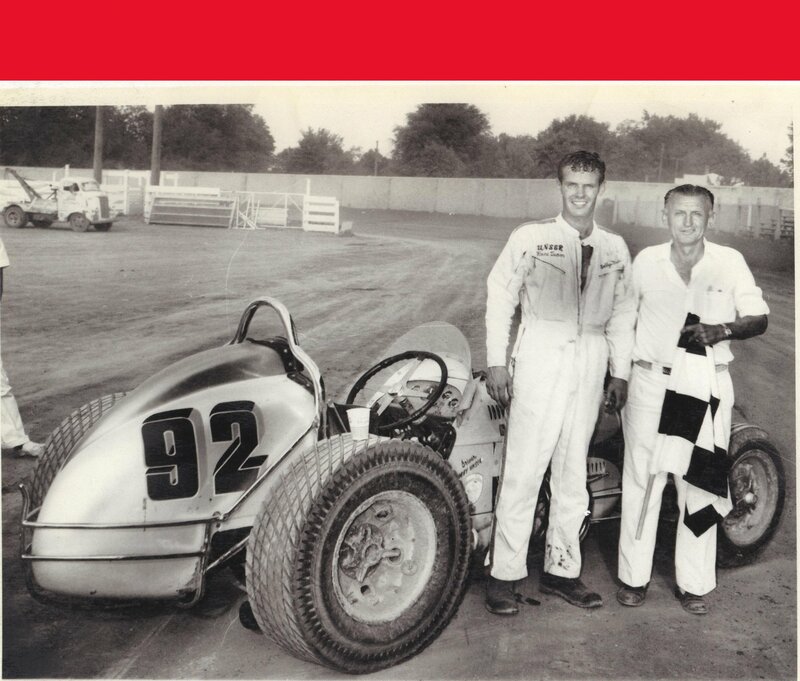 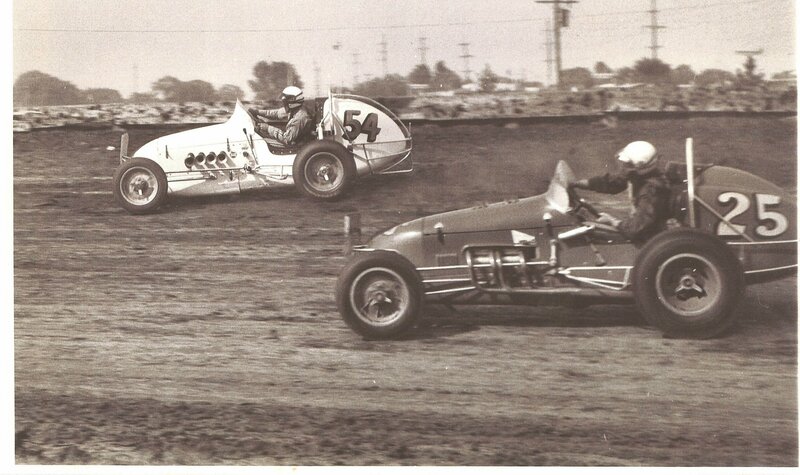 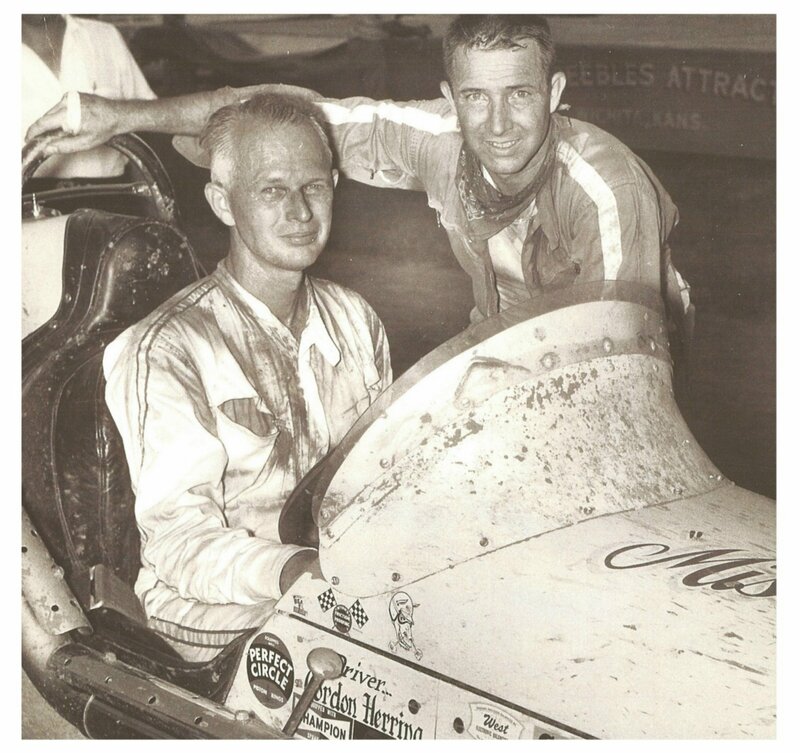 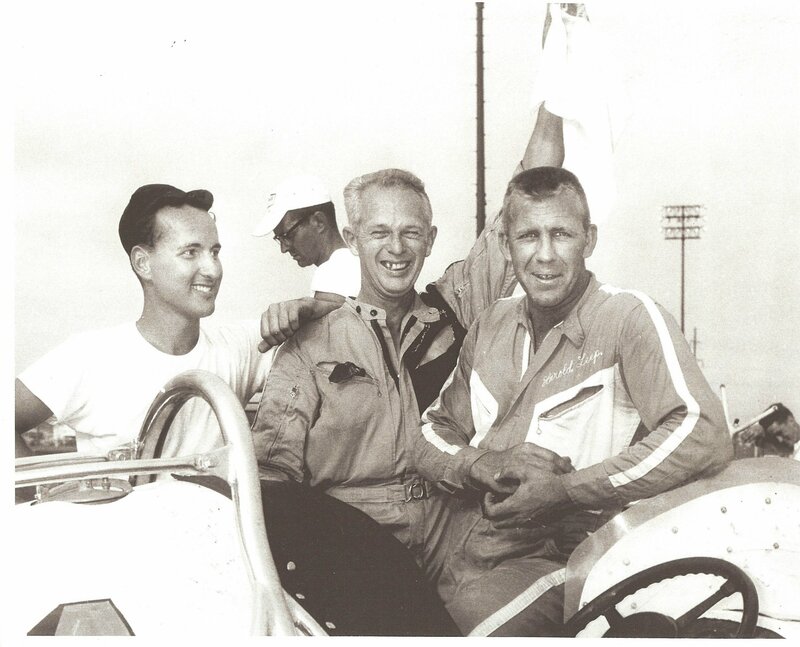 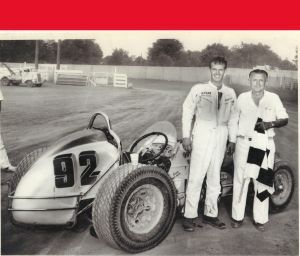 This is a photo of BCRA Member Bob Unser and BCRA Flagman Karl Mishmach. It was taken at Pueblo, CO. in 1962. 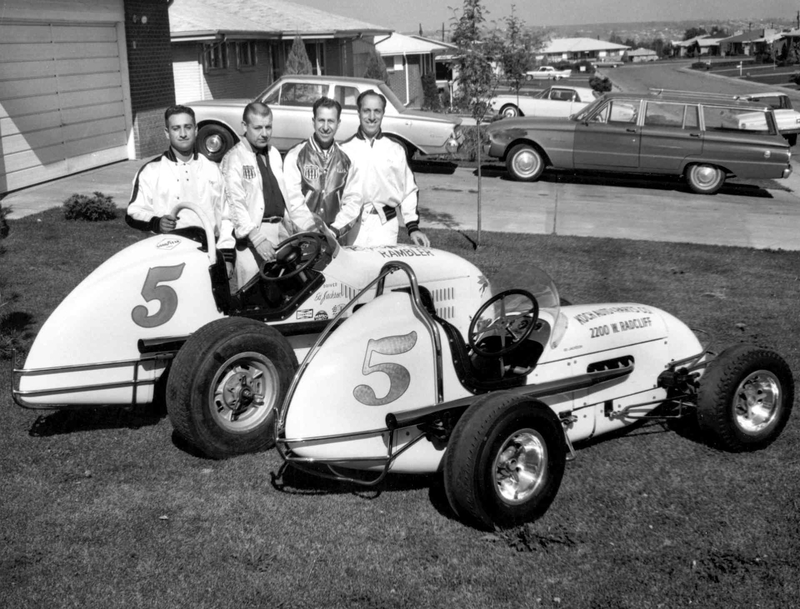 Eddie Jackson Team - L to R: Chuck Mauro, Eddie Jackson, Roger Mauro & Lew Mauro. 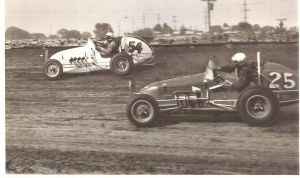 #5 Mauro/Miller Sprint Car & #5 Mauro Midget. 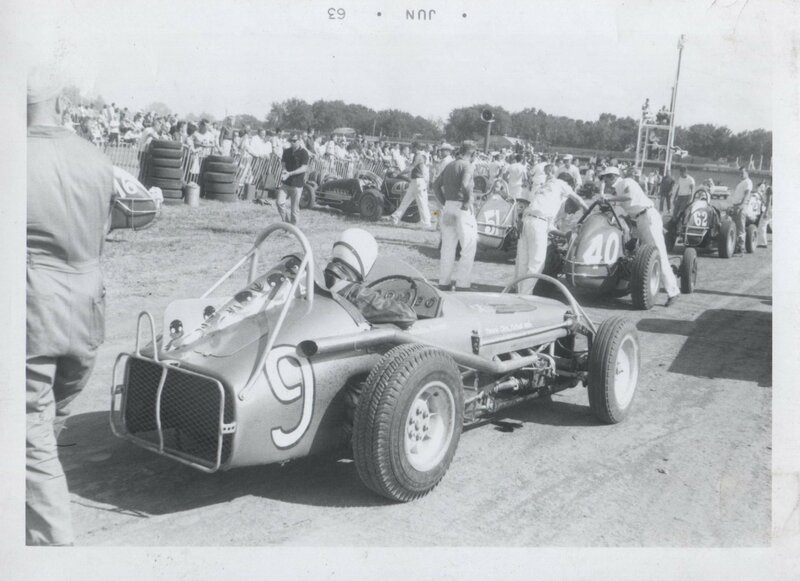 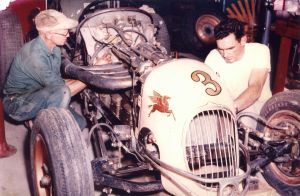 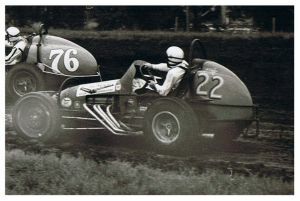 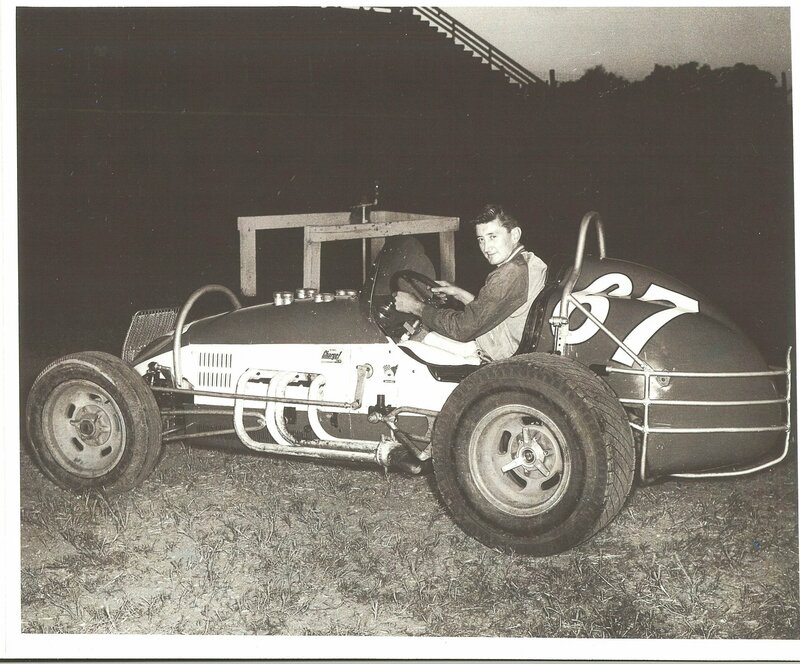 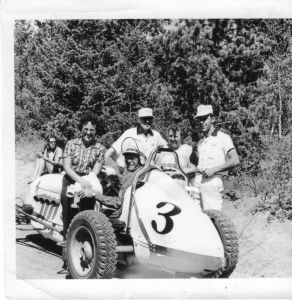 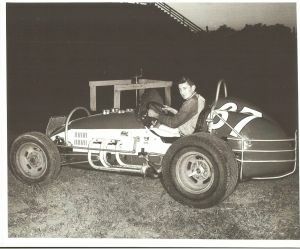 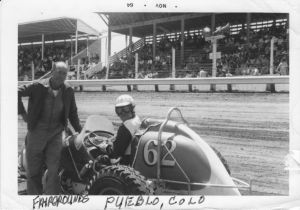 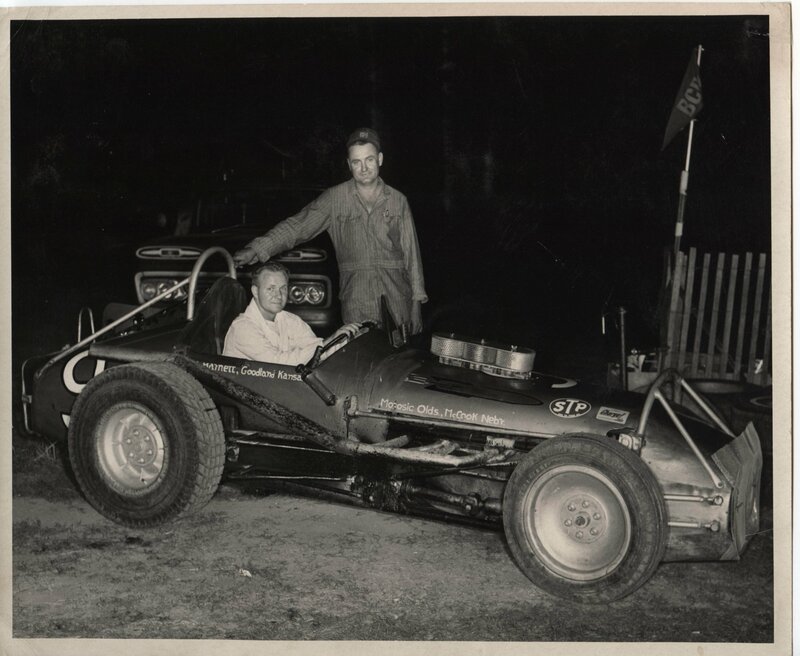 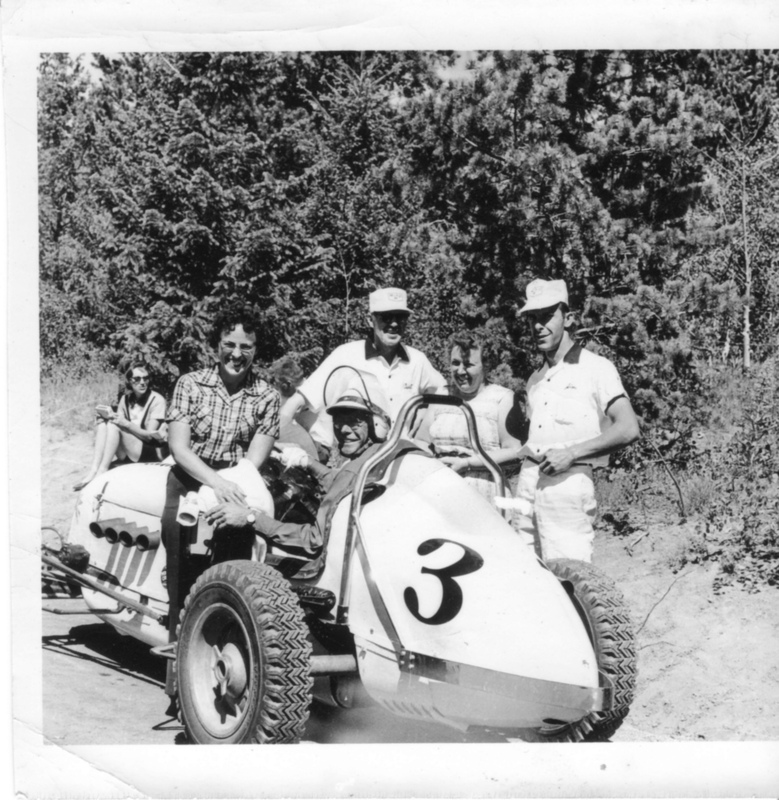 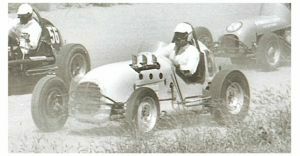 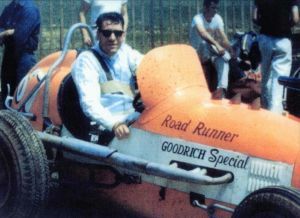 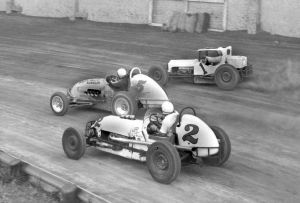 the Mauro Midget originally was owned and driven by Lloyd Axel, then owned by Chuck Mauro / Driven by Eddie Jackson, then sold and driven by Leo Tucker. 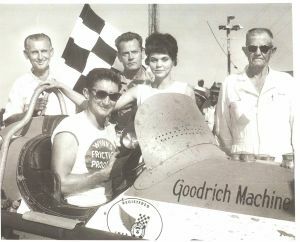 The 1964 famed Byer's photo "Flag of Surrender". 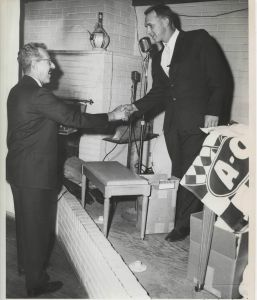 Victor Gordon Herring hoists the white flag over the great Harold Leep. Shown left to right, Bruce Budy, Gordon Herring, Harold Leep. 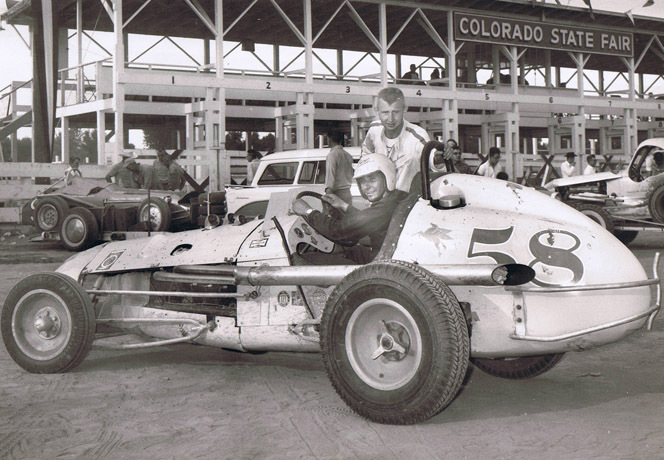 Bart Manley In The Harry Ivers #58 At Colorado State Fair Early 1960s. 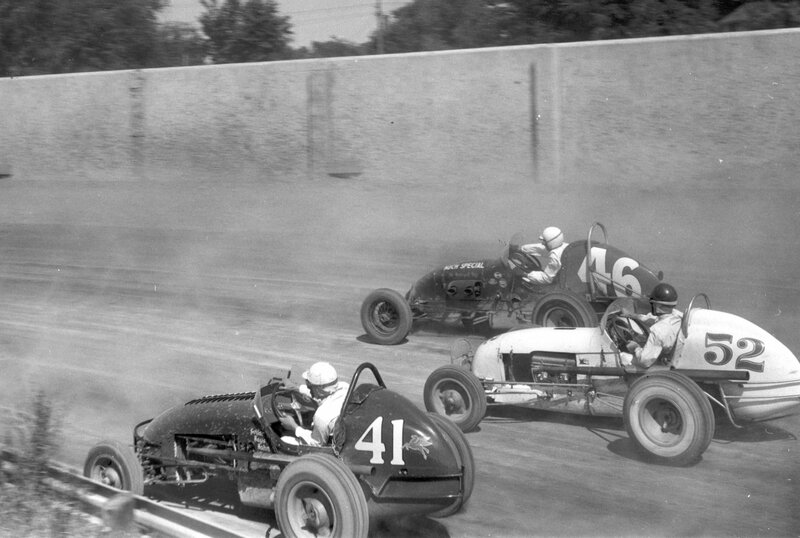 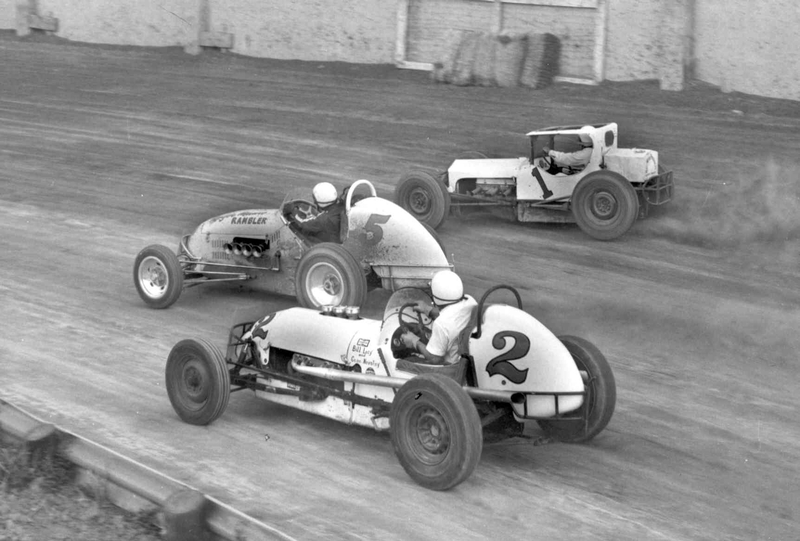 Ted Foltz, Harold Leep, Roy Walker and Harvey Shane compete in 1962. Location unknown. 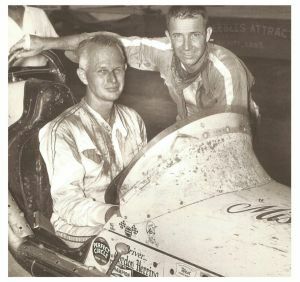 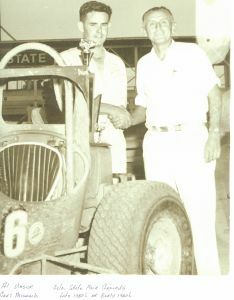 Wayne Carpenter and Lonnie Morosic in 1964. 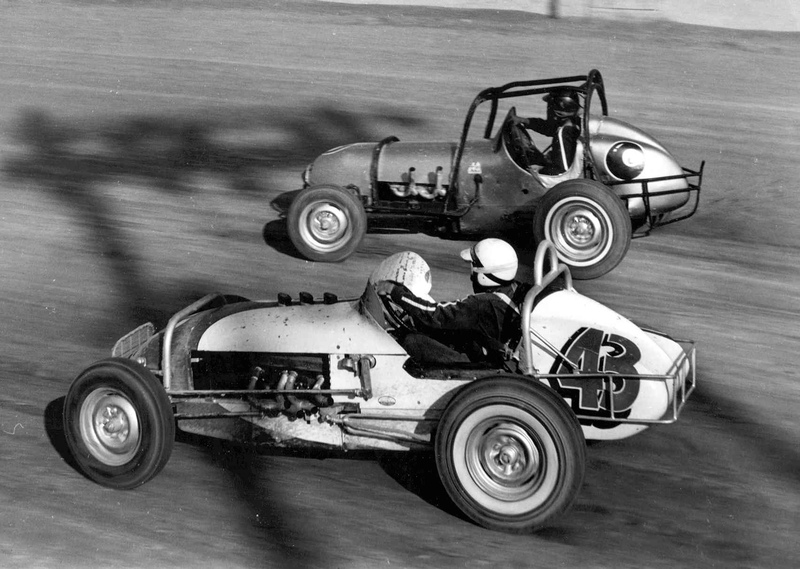 Location unknown. 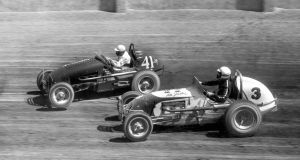 A 1964 Photo Of Grady Wade Powering The Selenke Chevy through a corner at The Colorado State Fair 1964 Pueblo, Co.
#41 Jack Hahn and #3 Dale Reed fight for position at Norton, Kansas 1961 Season. 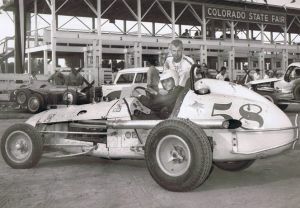 1962, Pueblo, Colorado. 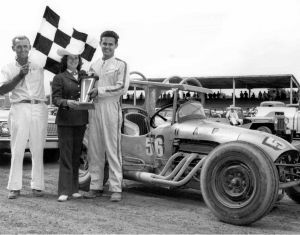 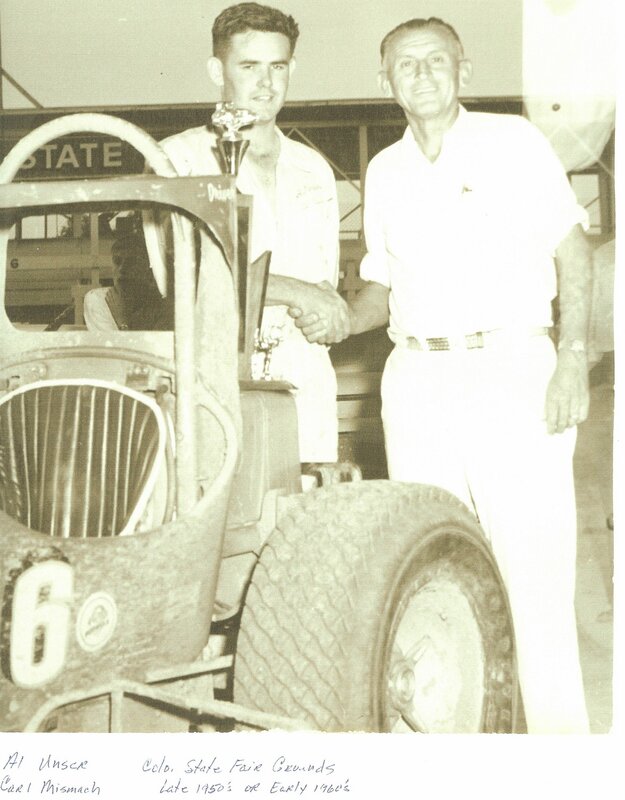 Al Unser receiving trophy from flagman Karl Mismach. 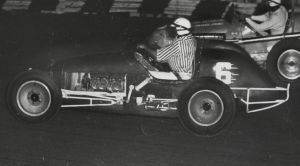 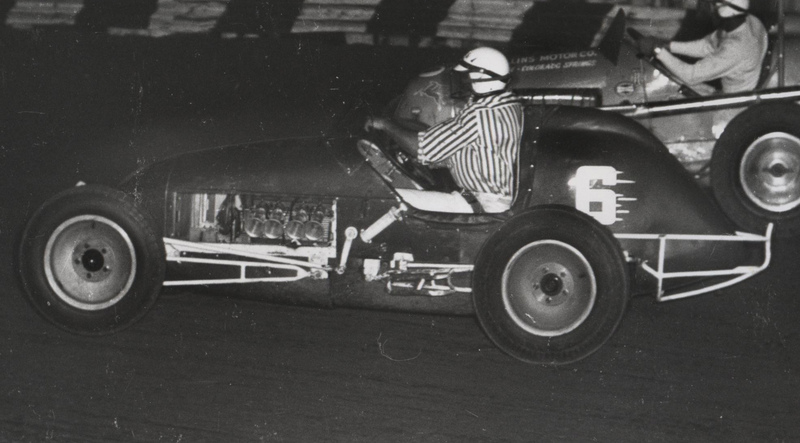 Vaughn Egger Of Colorado Springs takes the inside line at Holyoke, Colorado in 1964 . 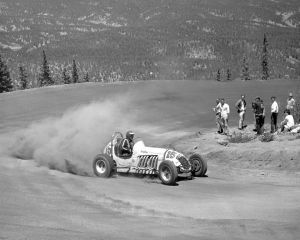 Earl Kouba sits in the Stockwell Offy at Pikes Peak in 1961. 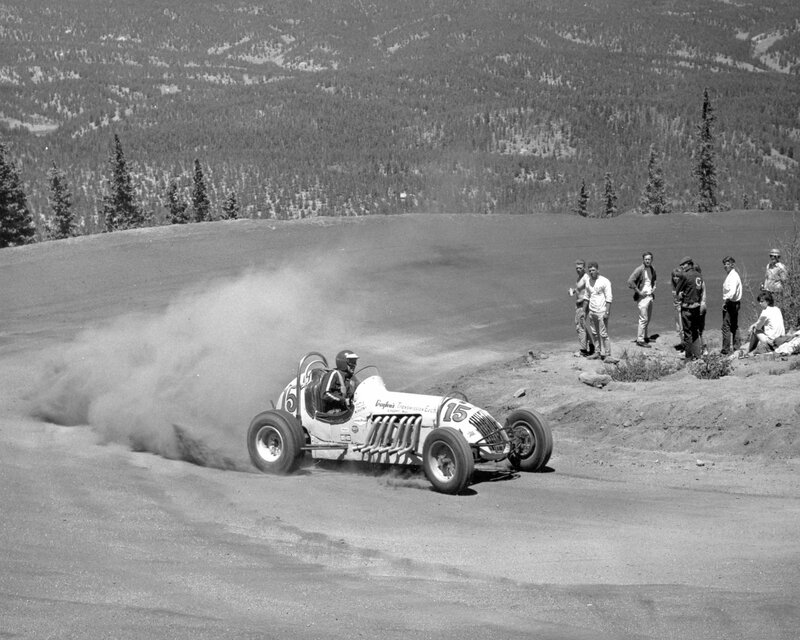 Warren Hamilton competes at Englewood Race Track near Denver, Colorado in 1961. 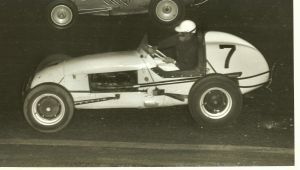 Grier Manning takes the inside line as he competes at Englewood Race Track near Denver, Colorado in 1962. Wyoming's Dennis Neeley on the track at Norton, Kansas in 1963.